Jammu: Hundreds of college students in Jammu boycotted classes and held protests in parts of the city on Tuesday, a day after a group of stranded Kashmir-bound passengers allegedly raised objectionable slogans. The students alleged that the passengers raised 'pro-Pakistan' and anti-India slogans and demanded that they be booked for sedition. Carrying the tricolour, the students raised slogans of 'Bharat Mata Ki Jai' and 'Vande Mataram'. They also raised anti-Pakistan slogans. 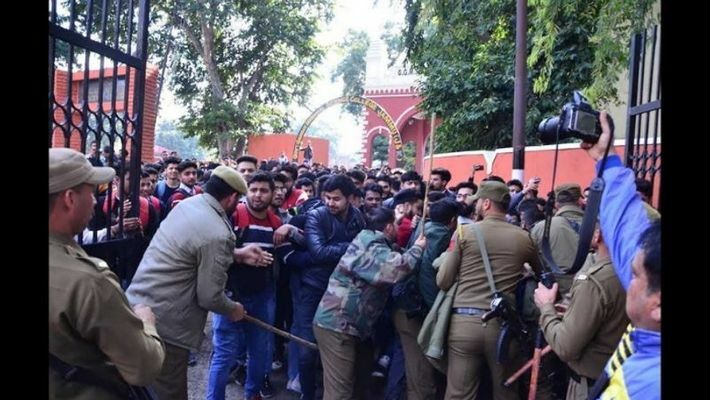 A students' leader Vijay Chaudhary said a case should be registered against the stranded Kashmir-bound passengers involved in raising anti-India and pro-Pakistan slogans and they should be arrested. Senior superintendent of police, Jammu, Tejinder Singh, said action would be taken if anyone was found involved in raising anti-national slogans.